Amelia Earhart: Pioneer of the Sky! When Amelia Earhart became the first woman to make a solo flight across the Atlantic Ocean in 1932, she immediately became an American icon and a subject of endless fascination for generations to come. 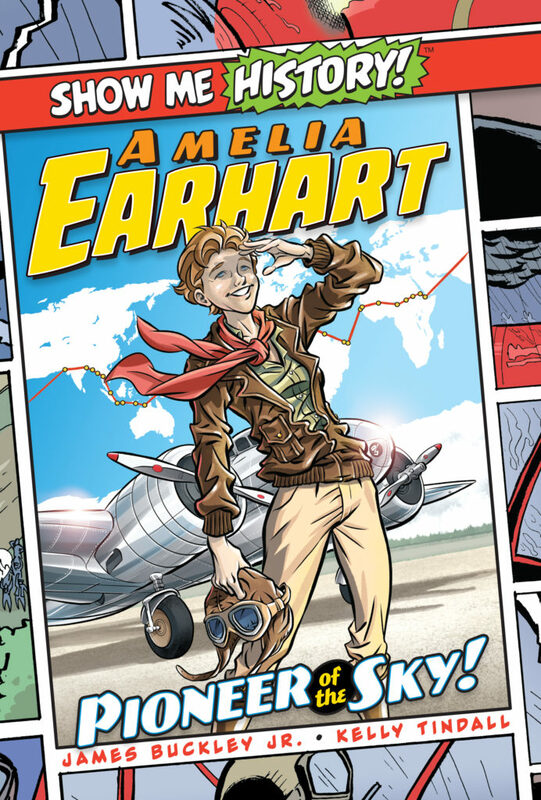 In Amelia Earhart: Pioneer of the Sky!, the story of the bold and daring aviator’s life is presented in graphic novel format, with full-color illustrations and historically accurate details. From her hardscrabble childhood to her final flight—and mysterious disappearance—Earhart’s journey will entertain, captivate, and inspire readers of all ages.